Become your own Force for health! Our community has needs that we can address more efficiently if we connect, contribute, communicate and collaborate more effectively, which is exactly what this project is designed to do. It's also about each of us pledging to try to make healthier decisions, and being provided the tools to assess our issues and approach them using our Learn it, Live it, Share it philosophy. Use theforceforhealth.com to earn your way up the ranks by improving your own health, completing courses and challenges, and attending community events. Start your Force for Health® journey with us today! 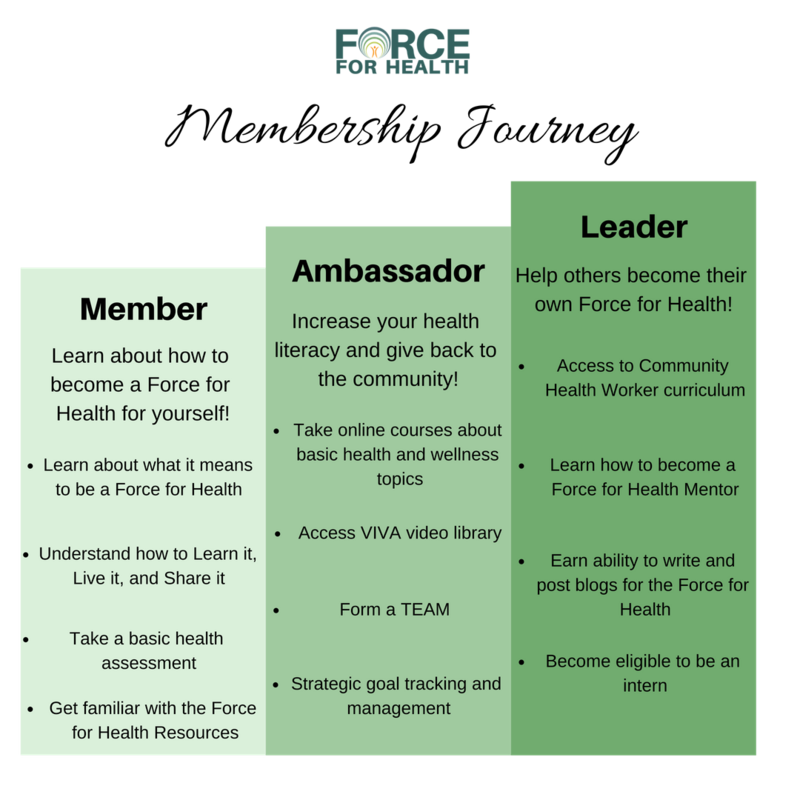 Welcome to the Force for Health, where we encourage you to Learn it, Live it, and Share it!